LONDON (Reuters) - Three of the country's biggest retailers, Next, John Lewis and Shop Direct, posted healthy Christmas sales on Tuesday 5 January but impending cuts in government spending and rises in taxation could crimp growth in 2010, sending share prices lower. Fashion and homewares retailer Next (NXT.L) reported positive like-for-like sales growth for the first time in four years, boosted by cold weather and better ranges, and upgraded its 2009/10 profit forecast. But it said 2010/11 profits could be flat. Next, which runs over 500 shops in the UK and Ireland as well as a home shopping business, fears increases in direct taxation after the national government election that must be held by June may suppress consumer spending, while reductions in government spending to cut a huge public deficit may reduce employment. It is also worried that increases in indirect taxes might fuel inflation and consequently push up interest rates. "One way or another the government's got to reduce spending or increase taxation over the next four years by a significant amount. My guess is that we'll see the hardest hit early," Next Chief Executive Simon Wolfson told Reuters in an interview on Tuesday 5 January. The updates came a day after data showing a sharp rise in manufacturing activity, mortgage approvals and a key measure of money supply had boosted hopes Britain's economy was gaining traction after an 18-month recession. Next said sales at stores open over a year increased 1.6 percent in the 22 weeks to December 24, above its second-half guidance of flat to down 3 percent. 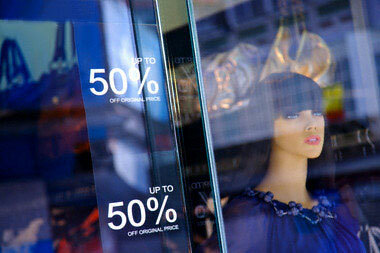 Sales at its Next Directory home shopping business rose 6.8 percent, ahead of forecast of a rise of 4 to 6 percent. The group said it expected underlying sales at its shops to be within a range of down 3 percent to up 1 percent in the next fiscal year, with Directory sales between flat and up 2 percent. Helped also by tight cost and stock controls, Next said pretax profit would rise to 490-500 million pounds ($789-$805 million) for the year to January 31, up from 429 million the year before and above the consensus forecast by analysts of 472 million. However, Next remained cautious about prospects for 2010, saying it was planning for "similar" profits, although it also said it could buy in more stock if sales proved stronger. Next's mix of strong trading and caution on the future chimed with comments from bellwether retailer John Lewis JLP.UL, which reported a 15.8 percent rise in sales in the five weeks to January 2 and forecast "a long slow recovery" in 2010. Shop Direct, the online and home shopping group that owns the Littlewoods and Woolworths brands, posted a 6.3 percent rise in sales for the six weeks to January 1 but anticipated a "challenging" 2010. Next shares have increased by 93 percent over the last year, beating the UK general retail index .FTASX5370 by 14 percent. They were down 2.3 percent at 2,090 pence at 10:02 a.m. British time, valuing the firm at 4.1 billion pounds. "This could be a proxy for the whole sector," said KBC Peel Hunt analyst John Stevenson, adding that with profit upgrades of 5-10 percent already factored into some stocks investors may be turning their attention to the murky outlook for consumer spending in 2010. Shares in both Marks & Spencer (MKS.L), Britain's biggest clothing seller which publishes its Christmas figures on Wednesday 6 January, and Tesco (TSCO.L) were down 1.8 percent while J Sainsbury was down 1.0 percent.